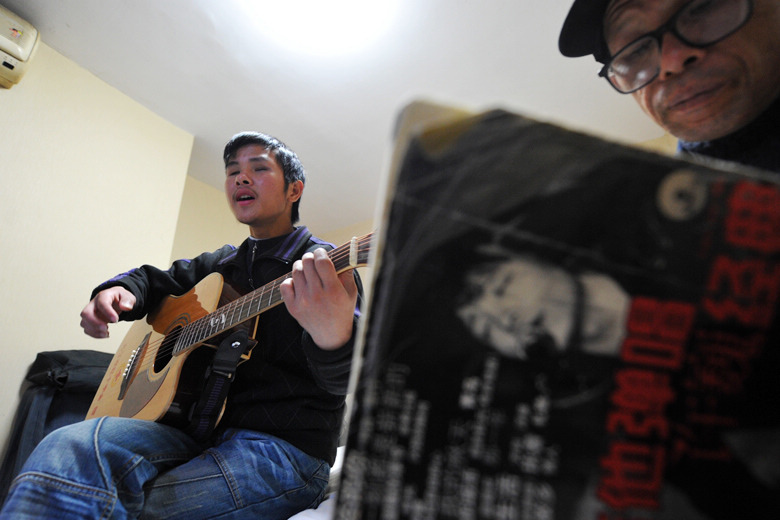 Wan Renjiu, 17, a visually-impaired musician from Wuning County in Jiujiang City, central China's Jiangxi Province, has been traveling around China with his father, Wan Changjiang, 60, for five years. The son lost his eyesight in an accident when he was a child. With a hope of healing his eyes, the family sacrificed their property to let him seek treatment in different places. 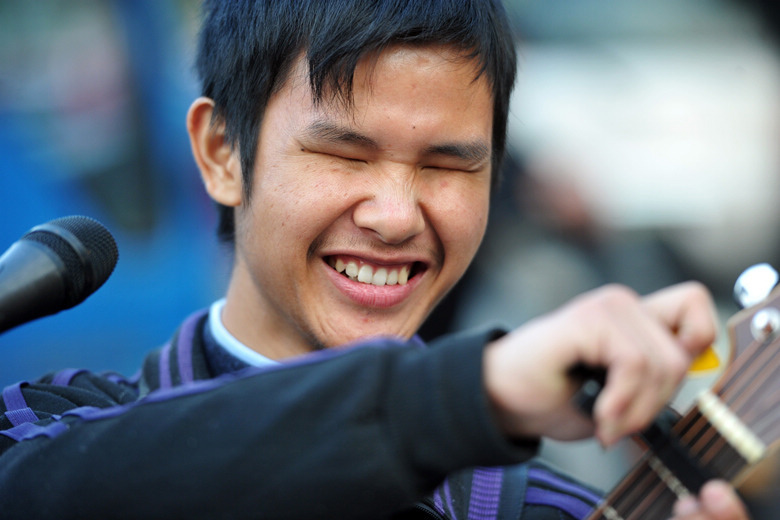 During his travels, Wan fell in love with music and learned it with people he had met. 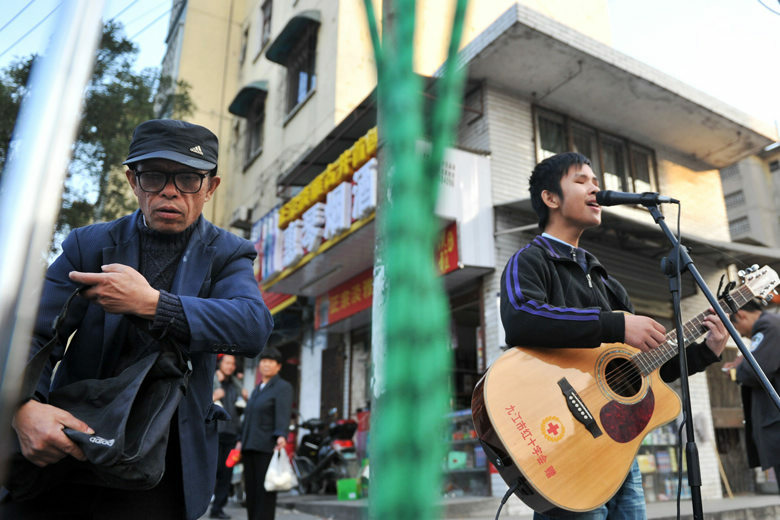 Together with his father, Wan journeys with a guitar, a stereo and some simple luggage. 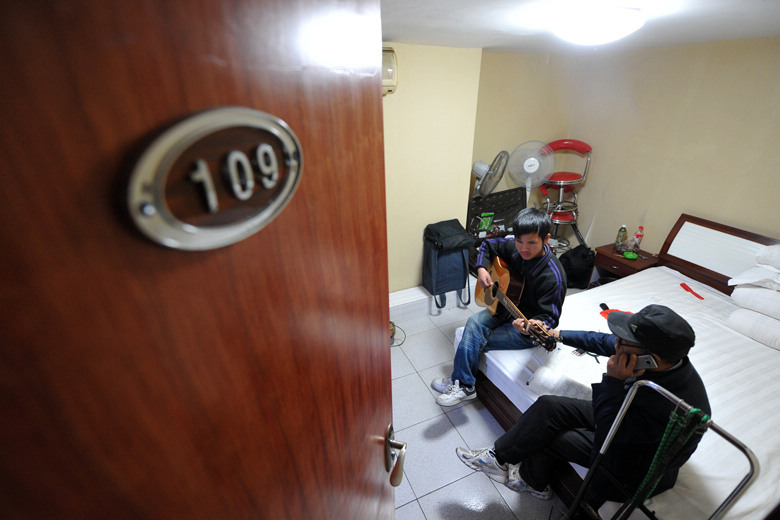 The Wans have traveled to dozens of major cities across China since 2007. "We had hard time in the journey and sometimes we even slept rough. 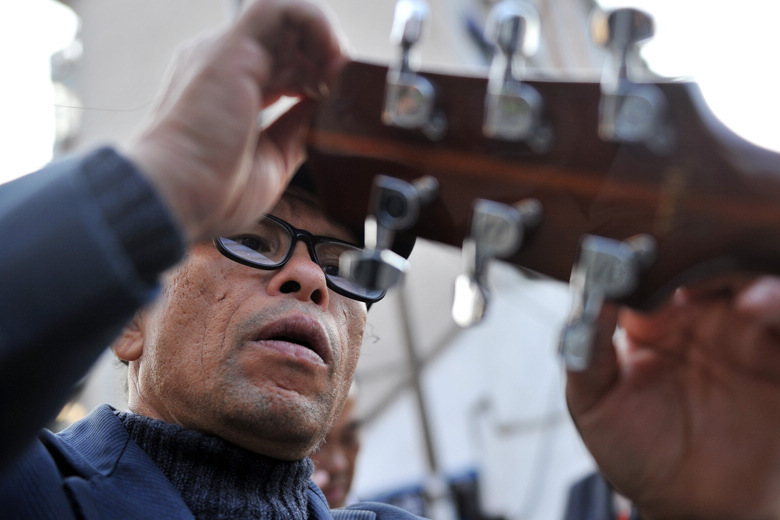 But many nice local people helped us to get through it," Wan said. 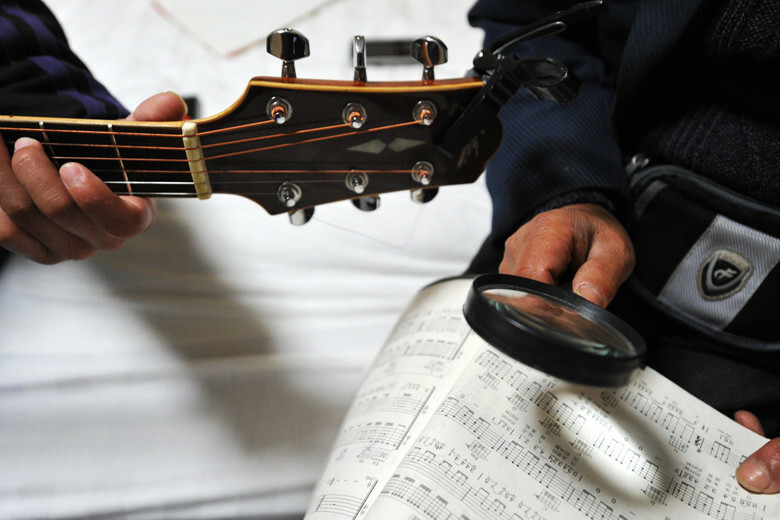 About the future, the son hopes to find a teacher to continue his music training and get a job. "My dad is getting old and I want to share his burden," the son noted.